Ranger boats have been around a long time and made there name in the bass boat market, but have made a push in the saltwater market in the past decade or so. The Ranger Cayman, while not the most popular model in their saltwater lineup provides great versatility and stability. 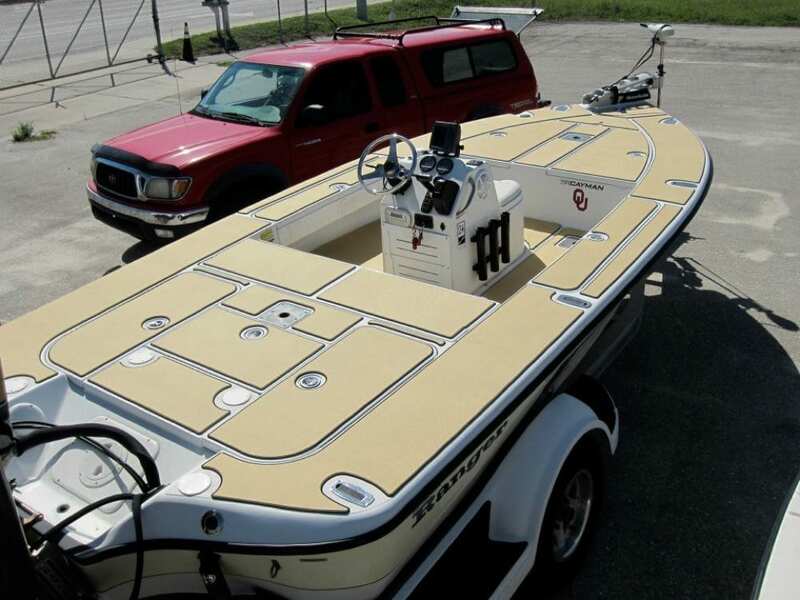 This customer has had the boat for a while and was looking to dress up the boat a little as well as add the comfort and traction provided by SeaDek. One of the nice things about adding custom SeaDek to your boat is you can change the look and also the feel of your boat. There are a wide variety of color combinations and this customer decided to go with a camel over black in 6mm. 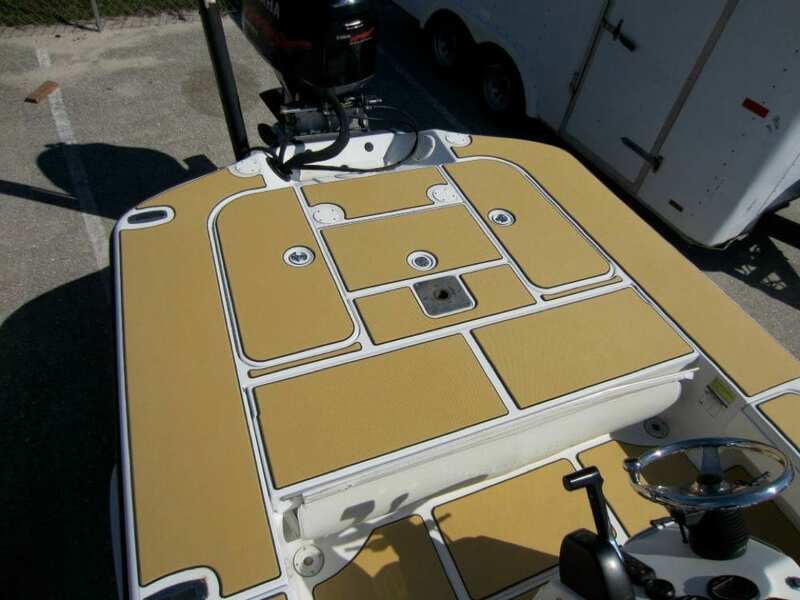 SeaDek has recently added some new colors to their color pallet and the camel color is one of the new ones. This was the first job that I have done with the camel and it came out very nicely. 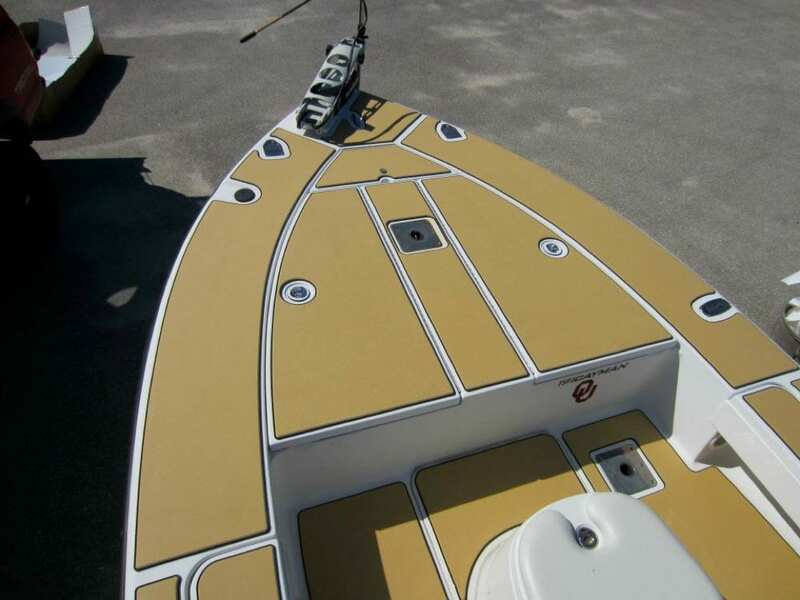 While not for everyone the camel color adds a nice subtle look and goes well with popular boat colors like fighting lady yellow. 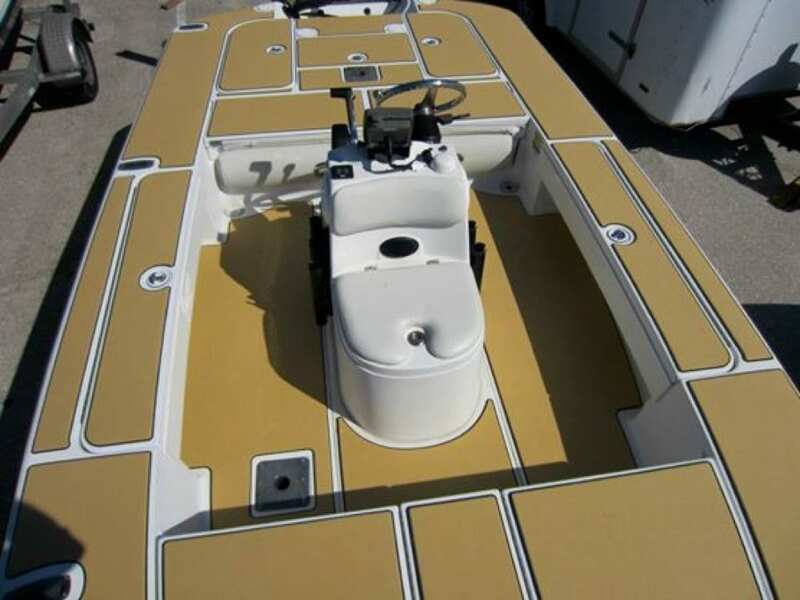 If you are interested in adding custom SeaDek to your Ranger or any skiff you can contact info@castawaycustoms.com.